I've followed the NuForce journey with great interest since its early days. Introduced to me back in 2005 by the affable Pat O’Brien from WAR Audio, then Australian distributor, the NuForce Reference 8 was somewhat of a breakthrough in terms of its proprietary technology and a package combining a small footprint, power and performance at a real-world price. But as good as it was, it was a young technology that has since matured to provide far better sonic quality and reliability. 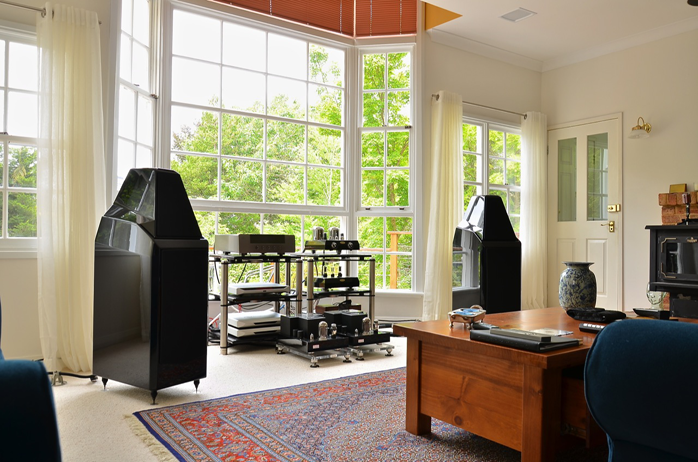 The current Reference 18 monos are stunning amplification devices and their excellence demanded a complementary preamp. 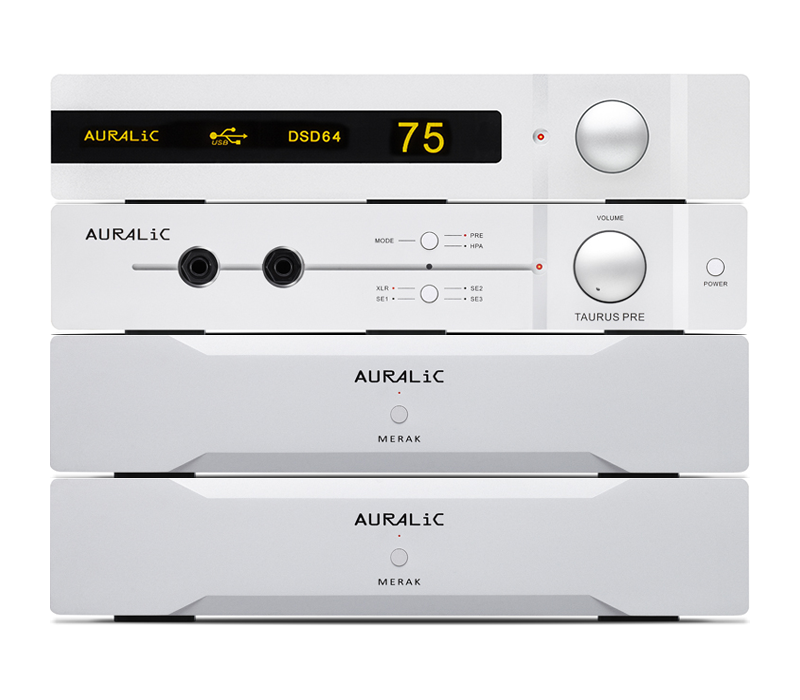 And so it followed that the flagship P-20 preamplifier should offer the best NuForce can muster. For starters, the casework is of outstanding quality. A black brushed aluminium top features the company name gloriously etched upfront and centre. A simple facet-cut fascia available in either black or silver offers little other than a black display window and red-tinged infra-red sensor. Along the length of the window and either side of the large red numerical/alphabetical display you’ll find rows of soft-touch back-lit in red buttons for power, input selection, volume up/down and mute. The P-20’s form could easily pass as an industrial ‘object d’art’ in any museum of Contemporary Art. But its simple yet stunning exterior contrasts substantial engineering housed inside with technologies aimed at sonic performance and user convenience. Like the monoblocks, the P-20 comes safely packed and velour-sheathed inside a solid wood crate lined with stiff foam. Brutal courier treatment is comfortably coped with. 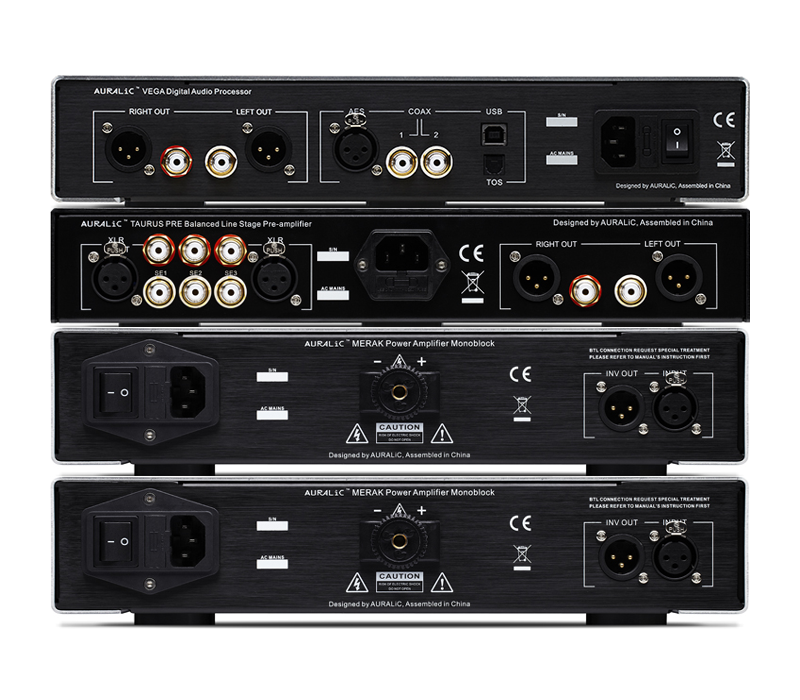 Connectivity is more than adequate with one XLR and five RCA inputs and XLR and RCA outputs each. A 12-volts trigger mini jack is also provided whilst a fused IEC receptacle supplies power input. Input impedance is 100kΩ and 100Ω go out which makes the preamp a great match with any source and amplifier. 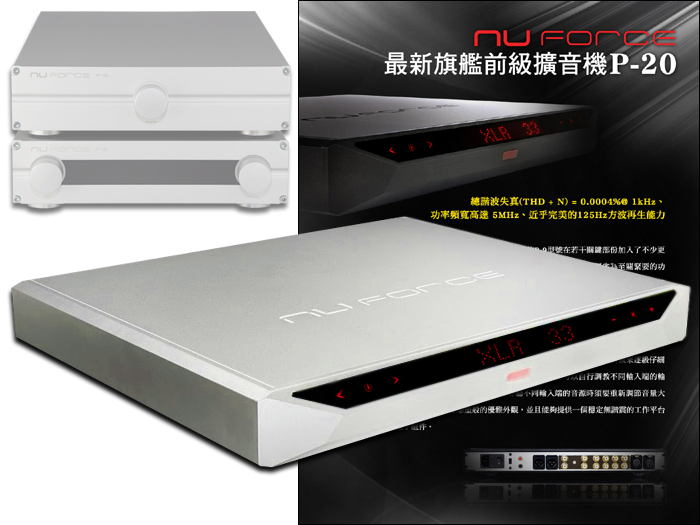 NuForce provides further technical specifications which are rather impressive – total harmonic distortion of only 0.0006% at 1kHz and 0.003% at 20Hz to 20kHz and a signal to noise ratio of 100dB at 20Hz to 20kHz and 90dB at DC to 1MHz. Frequency response is quoted at an impressively flat +0.02dB/0dB from 20Hz to 20kHz and +0/-3dB from DC-2.5MHz. Way flat and way wide bandwidth. There are no capacitors or DC servo circuitry in the signal path and the P-20 sports three large separate power supplies while the volume control features a numerically controlled switched-resistor ladder network with the latest in thin-film ultra-low-noise resistor technology and offers fine adjustment steps in 0.5dB increments. Further level adjustments are achieved via individual gain trim for each input. Thermal control is via thermal isolation materials used throughout the preamp while shielding is achieved with heavy copper plating. 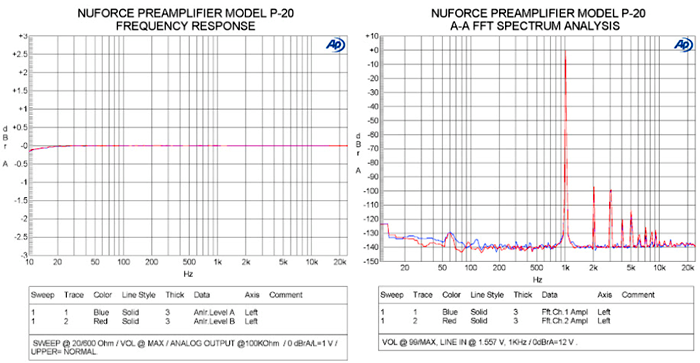 For the P-20 NuForce boasts a "near perfect reproduction of a 125kHz square wave".